Anna Kenoff co-founded Morpholio Trace in 2011 as a 2-D sketching platform for the creation of floor plans, elevations, sections, and any quick architectural drawing. Over the years, the team knew it needed to address sketching with 3-D models as it was one of their users’ biggest requests. “We wanted to make it possible to effectively wrap architectural models with trace paper to continually adapt them as needed," Kenoff said. Drag’n’Fly answers this request with the creation of infinite 3-D views of an architectural model within a 2-D sketch platform. 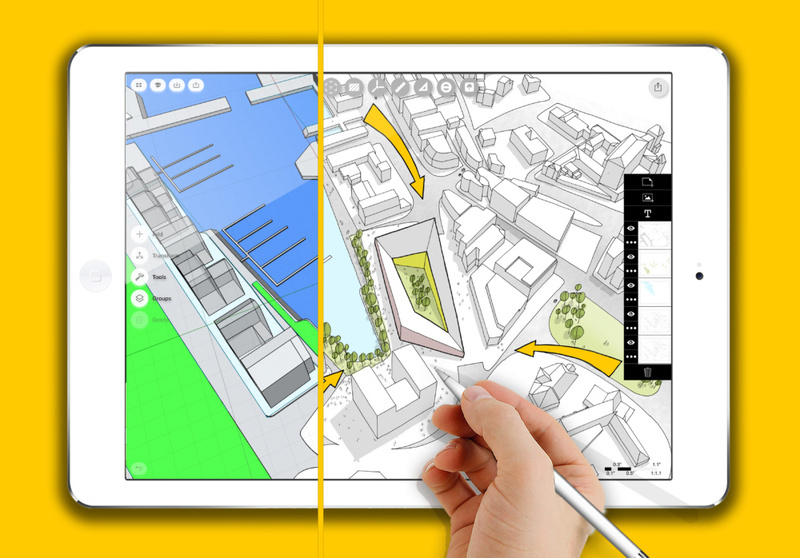 The views are automatically grafted over a perspective grid, allowing users to accurately sketch over generated scenes. Each image can be placed into a quasi-slide show format, creating a visual narration of a site’s design. 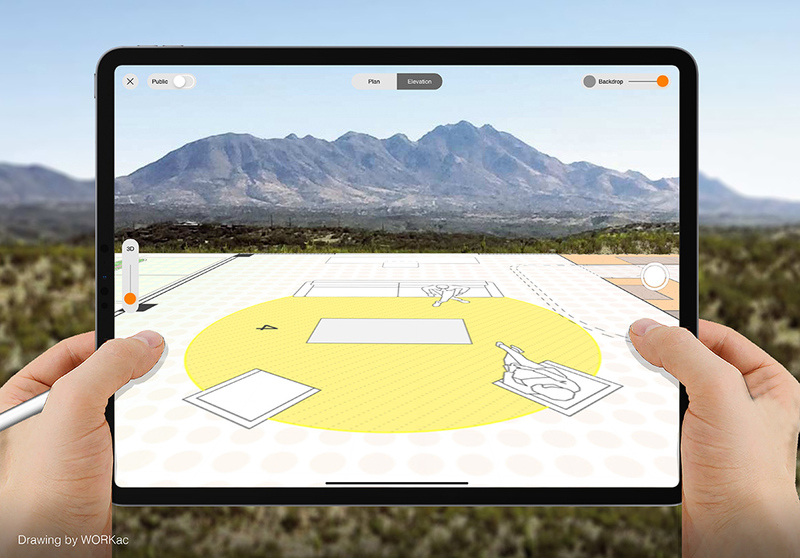 The feature supports the iPad Pro’s Drag and Drop technology and the new 3-D file type USDZ, making it easy to work between modeling apps and Trace. Shapr3D, an iPad Pro 3-D modeling platform with a wide variety of uses, ranging from production plant layouts to feasibility studies of tunnel boring machines, is the perfect complement to Drag’n’Fly. 3-D models can now be directly imported through an OBJ format into the perspective grid generated by Morpholio Trace. Overall, the Morpholio Trace brings the flexibility and power of hand drawing and thinking to the front-end design process. 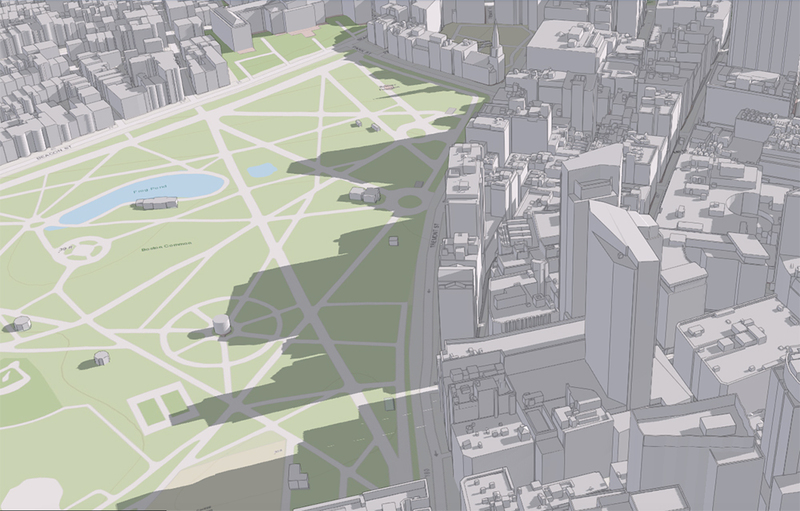 On May 8, Boston’s Planning & Development Agency (BPDA) released a digital 3-D model of the city. Built with GIS and CAD, the map encompasses approximately 129,000 buildings, each roughly outlined to indicate overall massing and height. According to the Boston Globe, the map was partially inspired by debates surrounding shadows cast on the Boston Commons by new skyscrapers, such as the nearly 700-foot-tall Winthrop Square Tower. The 3-D model uses Boston’s monthly average amount of daylight to effectively represent each building’s impact on citywide light exposure. Areas with dense concentrations of skyscrapers, primarily Downtown Boston, are depicted as casting shadow overs large swaths of the city. On the map, the function of each building within the city is graphically represented through the use of a color scheme sequenced to Boston’s zoning regulatory framework. Industrial districts, such as Marine Industrial Park, are clearly discernible from residential quarters such as adjacent City Point. Beyond the representation of each individual building’s function, the model outlines the city’s zoning districts, sub districts and special planning areas. As a coastal city, the BPDA has to accommodate for inevitable rises in sea level. To this end, the model also maps out Boston’s FEMA National Flood Hazard Areas, as well as areas that would be significantly impacted by a 100-year flood of 40 inches or more. Additionally, the model shows Boston’s entire public transport network, university system, and areas subject to urban renewal policies. While the 3-D model only includes existing buildings and those under construction, the BPDA is hoping to incorporate planned developments into the model to allow for their visualization within a larger urban context. Missed some of our articles, tweets, or Facebook posts from the last few days? Don’t sweat it—we’ve gathered the week’s must-read stories right here. Enjoy! Gehry Partners to design Extreme Model Railroad Museum in Massachusetts The firm is replacing Gluckman Tang as architects of the Extreme Model Railroad Museum and Contemporary Architecture Museum in North Adams, Massachusetts. What happened to speculation in architecture? Architects are not really thinking about new ways of living and relating to the world outside of our own history and discourse. What happened? 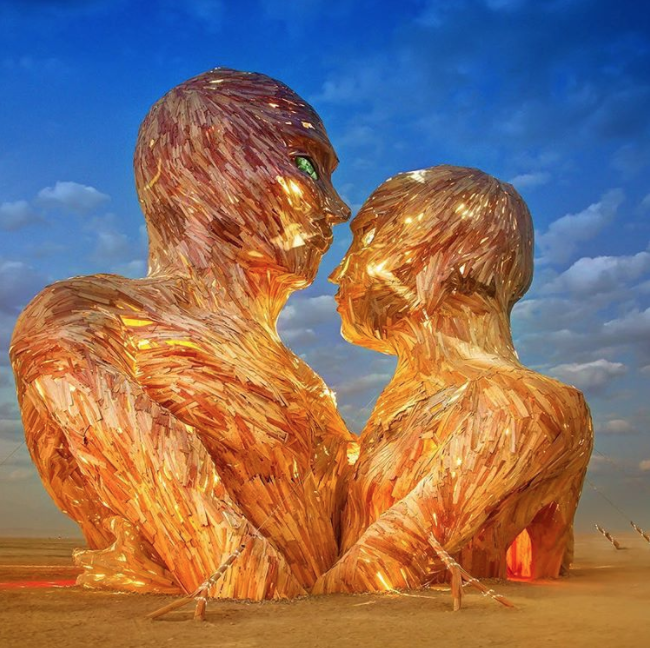 Gorge yourself on Burning Man's annual exhibition of weird and wonderful architecture The Architect's Newspaper takes a look at the best art and architecture at Burning Man. The 2017 edition of the desert gathering kicked off this week.. Thanks to big data, all architects will face a major professional crossroads bigger than CAD or BIM Should we architects cede our authority to algorithms, it’s likely we’ll lose all control and influence over the forces that reduce great design to mediocrity. Irishtown Bend in Cleveland could be in line for a massive transformation Cleveland non-profit LAND studio and CMG Landscape Architects are proposing radical changes to Irishtown Bend in Cleveland, Ohio. Jenny Sabin's selling furniture from her MoMA PS1 installation Well, we lied. There's actually six top news items today, because we just couldn't resist this: Jenny Sabin Studio's "spool stools," the seating for Sabin's MoMA PS1's Warm Up installation, are now available for purchase. Prices start at $150. Safe. 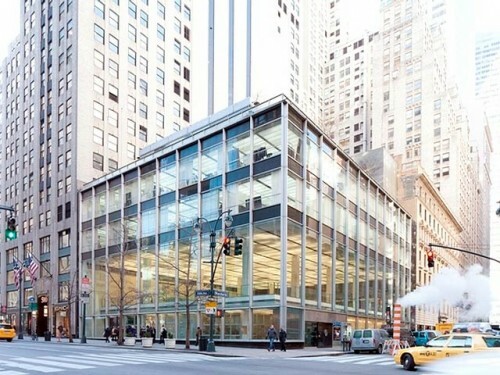 DNAinfo has a story on the newly landmarked interior of Gordon Bunshaft's Manufacturer's Trust Company building in New York including a 30-ton circular vault visible from the street. The exterior has been a landmark since 2007. Previous AN coverage here and here. Cutting History. Preservation magazine reports that President Obama's proposed 2012 budget sends the wrecking ball after two federal grant programs supporting historic preservation across the country: Save America's Treasures and Preserve America. Needless to say, the National Trust president was "profoundly disappointed." Pin Up. Architect Roger K. Lewis penned a piece for the Washington Post lamenting the downfall of hand drawing in architectural production. He warns that we should avoid the seductive "I can, therefore I shall" approach that computers can sometimes produce. Sidewalk Rage. Researchers at the University of Hawaii have identified key traits of Pedestrian Aggressiveness Syndrome. Richard Layman has the list of behaviors on Rebuilding Place in the Urban Space, which is readily on display on the sidewalks of major cities everywhere. Correction: Apparently, we can't keep our Marc/ks straight. In a previous version of this post, quotes attributed to Bailly were incorrectly attributed to Gage. Apologies all around. UPDATE: We've added some shop photos Mark (not Marc) kindly sent over. While not quite a standalone building, digitally-driven firm (and 2006 New Practices winners) Gage/Clemceau Architects will celebrate its coming out on February 11, when Marc Clemenceau Bailly and Mark Foster Gage deliver their "Valentine to Times Square." As Bailly told AN, "This is our first big thing that we've built, outside of a few exhition pieces and some interiors work." 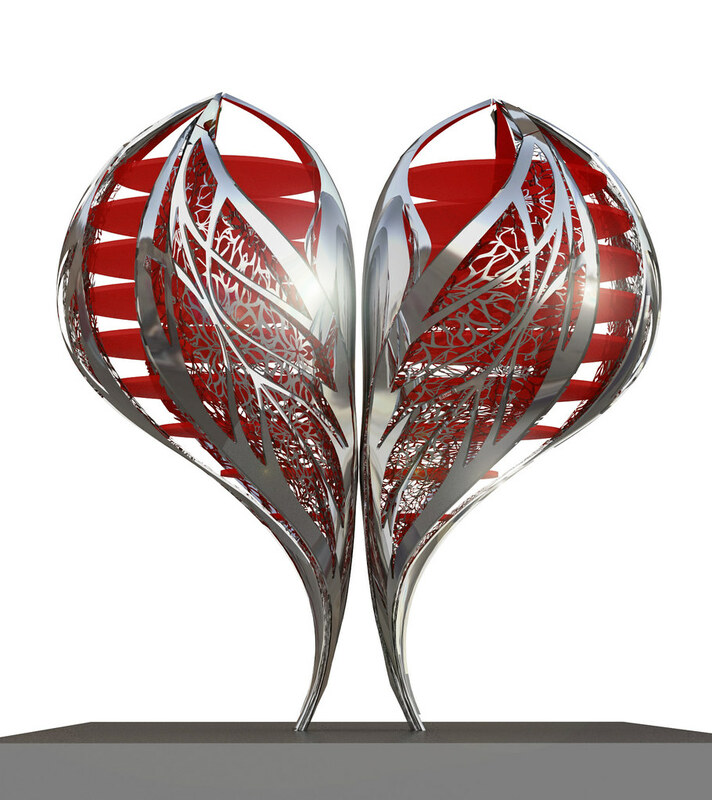 The 10-foot tall, two-ton heart is made up of some rather high tech components, including two stainless-steel ventricles precision-cut with water jets by Milgo Bufkin and then layered with "Strawberry Ice" translucent Corian that was CNC-milled and then embedded with purple LEDs by Evans & Paul. "We wanted to make something to showcase some of the technologies we're up to," Bailly said. (The project, which will be up for about two weeks, is not only a promotional for the Times Square Alliance, but also Zales, which will be hosting some sort of "Profess Your Love" competition with the heart as a back drop.) 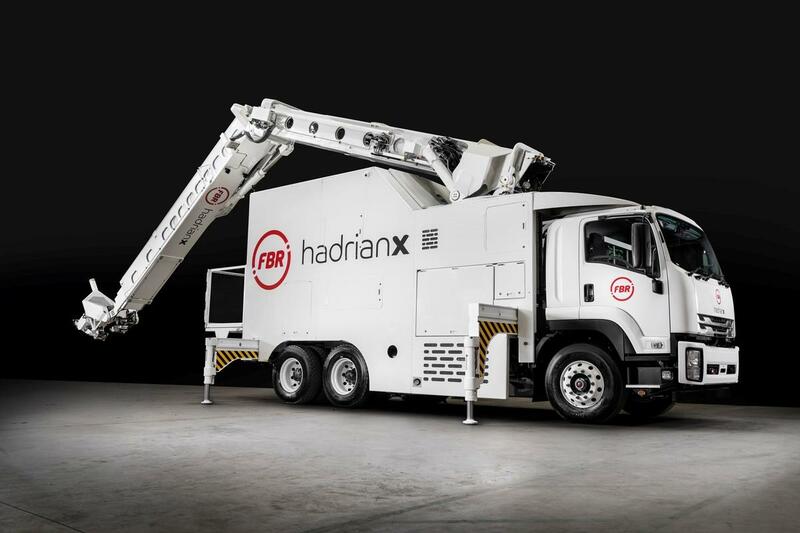 As with all the firm's work, this one began with some pretty heavy-duty computer modelling. "The software is really freeing us from platonic geometries," Bailly said. "We're getting to the point where we can make the surfaces do all the work." He said he hopes this project will serve as a showcase of what the firm's approach can bring to a project, and thus attract interest for more ground-up work, perhaps even some buildings. "With the steel skin and the Corian plates--floor plates, if you will--it's almost like a small building," Bailly said. But not only is computer modelling helping Gage/Clemenceau push the boundaries of their designs, but also their production. Bailly said it's took just over a month--and during the busy holiday season no less--to design, mock-up, and fabricate the heart, which is currently being assembled in Long Island City. Given that the client ran short on time to produce a Christmas tree, the original idea presented by the Times Square Alliance, speed was especially important on the second go-round.. Bailly said he's psyched on the results thus far, though he can't wait to see the project installed in Times Square. "The shapes are right on, which is nice because it means everything worked," Bailly said. "But it'll still be interesting to see how everything goes, especially in Times Square, with all those lights, and all that intensity. The stainless steel will hopefully capture all that, but we won't know what that's like until it's up." "The name, 'Valentine to Times Square,' is really what it's all about," Bailly added. "It's really a gift to the city."